Small electronics for small homes and one room living ensure that everything from the TV and sewing machine to the printer and the camera fit into a very small space. You have to believe it. While one room living meant that one either had a very cramped room or lived without certain luxuries half a century ago, the advent of electronics has changed all that. Today one can watch TV on a laptop or a tablet, listen to music from the same source through miniature speakers, arrange one’s life through one’s cell phone and communicate half a world away, and more. The great part is that when one has finished using all these different electronic gismos, one can put them in a drawer and one’s room is neat and spacious. So here are some amazing electronics that your one room apartment will benefit by. There are several ways around this one. You can buy a miniature TV. Well, you could years ago. I’m sure they are still around somewhere. They’re about 6” across and you can watch your favorite programs in real time on it, and then put it away after you’ve finished. It doesn’t need much in the line of dusting or space. Another option is to use your laptop or tablet to watch your favorite programs. Sites like Hulu, Sling, and TVchannels Free provide that service. Also, you can sign up with some of the cable networks and view online. You can also insert a TV tuner card into you computer and you can read more about that here. Some would say that the MacBook Pro is a superior way of watching movies on TV. Others would say, rather emphatically, that Alienware is the best you can get! How to convert your laptop to a TV. Well, you no longer need to buy $20 books and then have a shelf to store them. Now you invest in a Kindle or Nook E-Reader - and ebooks are much cheaper than print - and then you store all your books on your e-reader. Some e-readers store more books than others. Some are also on line and provide other desirable facilities. Right now, Amazon has excelled itself and produced two excellent Kindles. They are the Kindle Fire HD 7” and the Kindle Fire HD 8.9”. The Nook (from Barnes and Noble) uses a different format to the Kindle, but the Nook Tablet is top of the range for any ebook reader. It’s not just an e-reader. It can and does show movies, permits email, downloads apps, can store 2.5 million books, has a touch screen, long battery life, expandable memory, and FREE in store support. Oh, it’s also wifi. You Tend to Alter Your Own Clothes or Sew Pillows or Something? Never let it be said that you can’t find a miniature sewing machine. 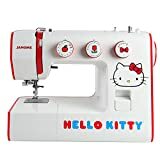 Ever heard of the 7.5” Janome Hello Kitty Sewing Machine. Go sew your socks off, and then shove it on a shelf where it will be a topic of endless conversation! Cutest Small Sewing Machine in Creation. Hello Kitty Sewing Machine does your sewing for you. Guaranteed to purr! You’re spoiled for miniature choice. Flash MP3s abound. Best on the market currently are the Apple iPod Touch 64. 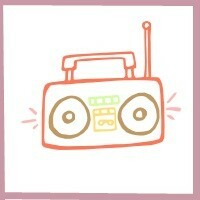 Okay, so it’s not quite an MP3 but it is the king of sound. Down the line, but not much further are the Cowon 3D Plenue has rave reviews as have the Apple iPod Touch 32 and Apple iPod Touch 8. Next down the line, and this is quite a long way down, is the Creative Zen XFi-2. It still does the job, though. Add some small speakers to your Flash MP3 player and you have increased volume and an even better sound. Of course, of course. Landlines take up space and there are endless wires in sight. Very unsightly, you would agree, in a small one room apartment. I don’t have to tell you which cell phone is best for you. They double as cameras, message centers, alarm clocks, entertainment centers, and more. Take your pick. The best, currently, is said to be Samsung Galaxy S III, the HTC 1 X, Apple iPhone S, and LG Optimus 4X HD. Small printer for easy storage. Printers come so small these days that there’s no need to take up essential space on your shelving system. You can simply, along with all your other electronics, put it in a drawer until needed. Best portable printers, according to PC mag, are Brother MW-60 and the Brother Pocket Jet 6 Plus. They’re pricey, though. More affordable and a portable printer that does the job is the HPOfficeJet 100 Mobile Printer. Travel Irons are Small and Great Design! One of the tricks to living in a small one room apartment is to cruise the travel stores and see what you can use. Small irons are wonderful. For myself, I just love them because I find the larger ones too heavy for my weak and ancient bones. I also love the fact that they’re so small, they can sneak in anywhere, and they do just as great a job. The SteamFast SF-717 Home-and-Away Mini Steam Iron is too cute for words, and it does a great job! The Travel Smart Travel Iron (Conair) is also pretty cool. Space Age Travel Steam Iron Looks So Good that you can Use It as a Decoration! Travel Irons are so much cooler than those horrible big clunky things! No more wrinkles on the road with this travel iron by travel smart. it fits well into even the most compact bag. extra compact design is convenient for travel. Miniature Electronics for One Room Living! So by now, you’ve got my drift. Be on the lookout for new inventions. In fact, before I end this piece, I want to introduce you to someone’s idea of keeping a pet in a small apartment. He has a pet fish, and the fish bowl doubles as a hydroponic unit to grow food. No, I kid you not. Read all about this fish tank here. I love the fish tank, Sophia. It reminds me of an article I read about NASA and their growing their own vegetables whilst in space, using a small tank. Perhaps one day, those living in a one room apartment with no garden will be able to do the same. Some great ideas for compact living. Well, what do you know? It's great to set up your living space without a lot of clutter. You've found some great choices. Nancy, it will be 120 and elsewhere in the world, I think it's 220. Generally, one can get a plug that will convert the electricity. These are some really neat gadgets. I especially like the fish tank. Vintage Art Deco Antiques. Art Deco Glass, Art Deco Style, and Art Deco Furniture!